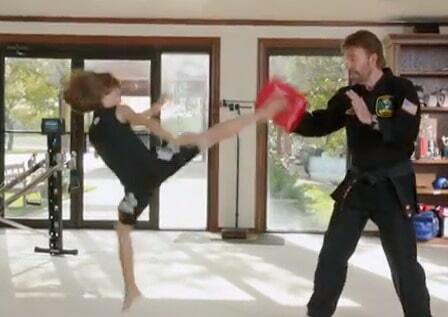 Chuck Norris has been working out on the Total Gym for more than 35 years. His wife Gena has been using it for 15 years, and a few years ago, his son Dakota started working out with the Total Gym. Chuck knew using the Total Gym would help his son excel in all of his other athletic activities such as gymnastics and martial arts. 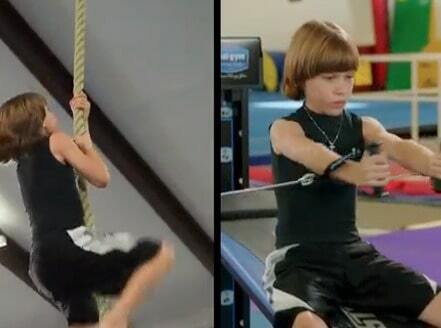 Since using the machine for exercise, Dakota has developed lean-muscle strength, which is helpful in his other sports. Chuck says that too many kids are on the couch watching television and not getting the exercise that they need. 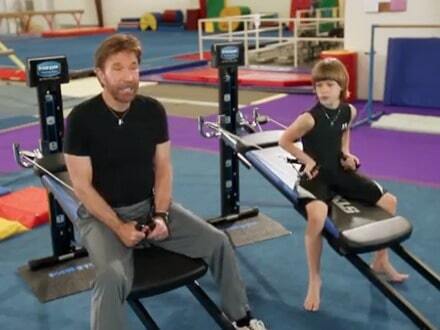 Instead of sitting around watching TV, Chuck encourages parents and their kids to workout on the Total Gym together. 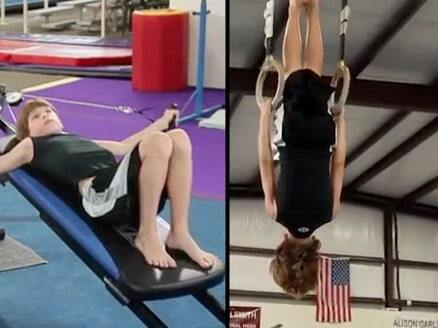 Not only is this great for kids to get in shape but it’s also a great way for parents to exercise, too. Chuck says the Total Gym is an incredible way to not only workout but to spend time with your children. Check out the articles on Total Gym Pulse for more ways to get fit, eat better and lead a healthy life! I am having a problem. I have set up the Total Gym XLS and there is a third pulley that is just at the back of the unit on the floor. There is nothing in the owners manual telling you what to do with this or where it should hook up. I don’t know what to do. I need help. I just received mine a couple hours ago and had the same issue. The pulley should be in front, not behind. Just bring it over and there is a place to hook it under the part where your body would be if you were exercising. Thank you very much. I see where you are talking about. It makes sense now.